We provide geophysical Receivers world wide. Our Receivers are used all over the world for geophysics exploration. 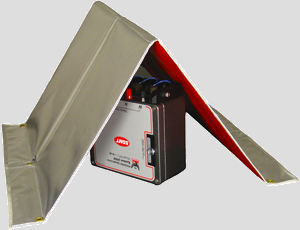 Oil and gas companies are using our Receivers geophysical for years and for years to come. We provide geophysics Receivers and Receivers geophysical to China, Russia, Uzbekistan and countries on 5 continents. Since Phoenix Geophysics was created we sold hundreds of MT systems and AMT systems, MT Receivers and MT Receiver, and also AMT Receivers or MT/AMT (MT-AMT) Receivers. Tested on all kind of terrains in surveys, our geophysics Receivers and MT/AMT Receiver are the best aviable worlwide. All our customers are all agree about saying we are the best geophysics Receiver provider in the world. At Phoenix we design geophysical Receiver and geophysics equipement by our engeneers. They are the best and come from Brazil, China, Russia, and of course Canada. MT Receiver, AMT Receiver and both MT/AMT Receiver are tested and design for best results. Just ask us for a quote. Our sales people are ready to describe all our offers about geophysical Receivers, and MT/AMT Receivers because MT magnetotellurics Receiver, or MT/AMT magnetotellurics and audiofrequency magnetotellurics or audio-frequency magnetotellurics Receiver. Since Phoenix Geophysics was created we sold also hundreds of Magnetotellurics and Audio-frequency Magneto tellurics systems, magneto-telluric Receivers and magneto-tellurics Receiver, and also audiofrequencymagnetotellurics Receivers or MT/AMT (MT-AMT) Receivers. Tested on all kind of terrains in surveys, our magnetotellurics Receivers and audio-frequency-nagnetotellurics Receiver are the best aviable worlwide. All our customers are all agree about saying we are the best magnetotellurics Receiver provider in the world.